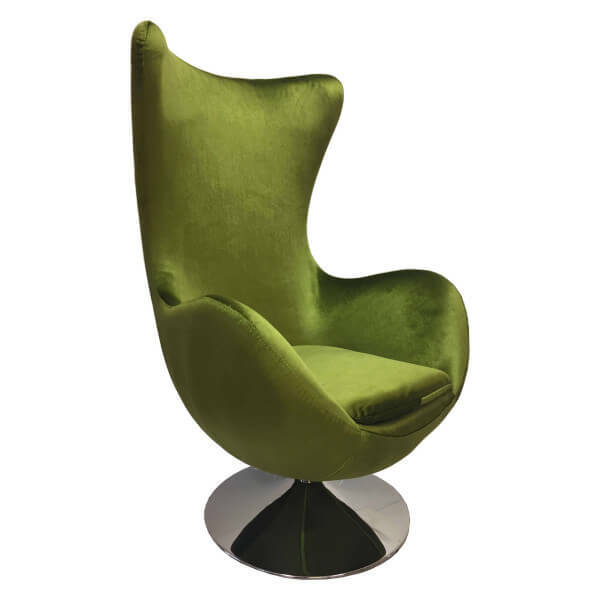 Contemporary armchair very current in its design and green color fabric in shaved velvet. 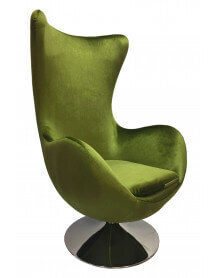 This armchair will bring emotion and originality to your home. 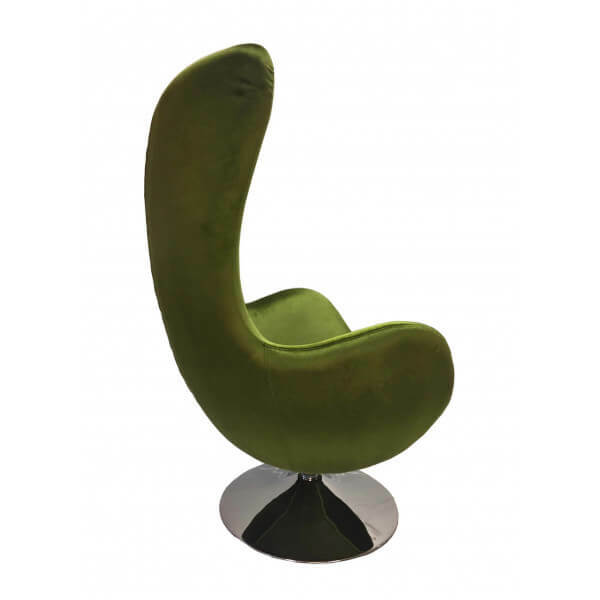 Large backrest serving as a headrest. 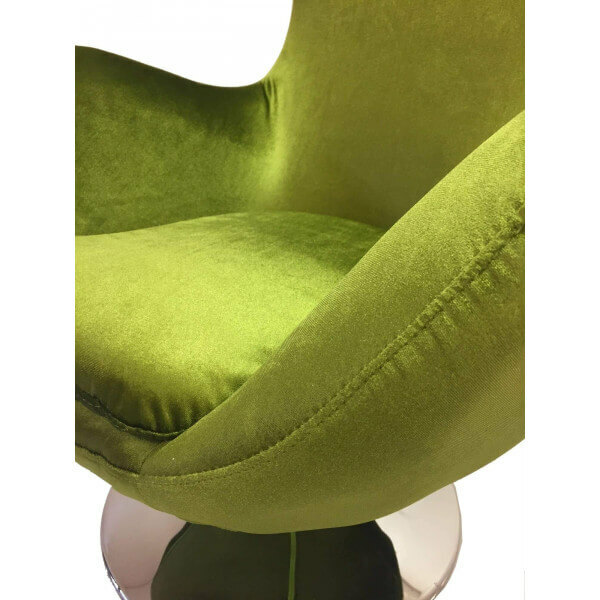 Chromed steel round foot with anti-scratch rubber pads. 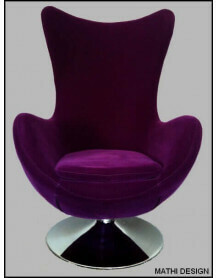 Other colors available in our section armchair. 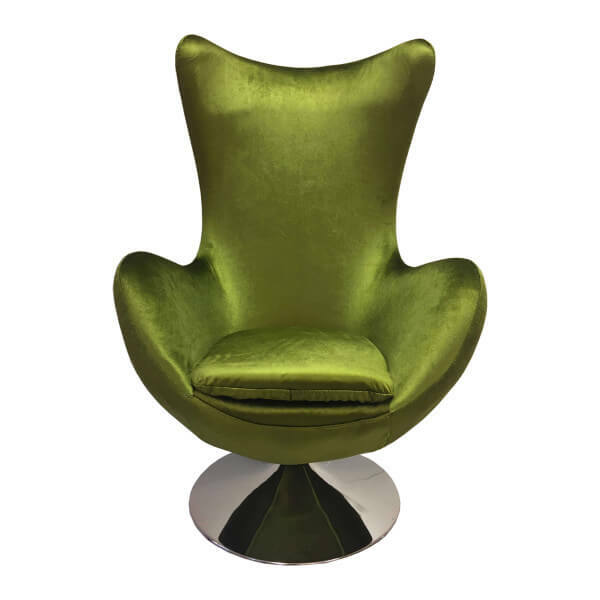 Dare the color at home: put an original chair in your living room.